Why do I believe in unlimited possibilities? 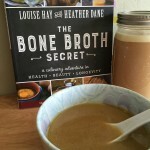 Bone broth is a wonderful way to nourish and heal your digestive tract and energize your body; it provides an easily digestible source of vitamins, minerals, and protein. If you’re vegetarian, you can leave out the bones and meat scraps and create a healing vegetable elixir to sip during the day. You can also include just bones and no vegetables, if you like. 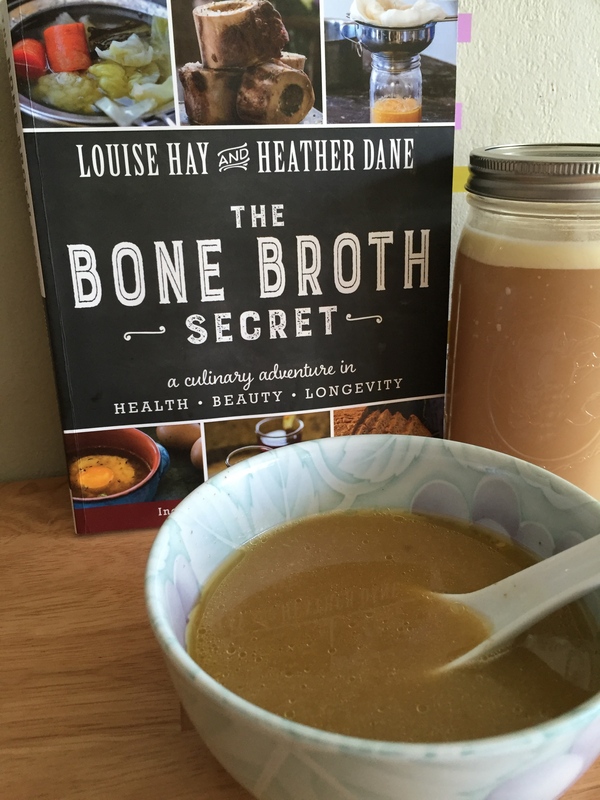 This broth can be used to sip, or used in recipes for more flavorful grains, soups, and more! Take a large paper shopping bag; open and place it in one of the freezer drawers. Over the course of the week or several weeks, throw all bones and meat scraps in the bag in your freezer drawer. Also add vegetable scraps, vegetable peelings, and the odds and ends that you chop off of vegetables. Some examples are: onion peels, the peeled skins of carrots, garlic skins, salad scraps, artichoke tips, the tough ends of asparagus, kale stems, and pea pods. Add 1 or 2 (3″) pieces of seaweed, like wakame or digitata, for extra minerals. 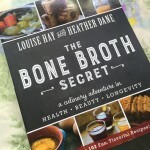 If you don’t have enough meat and bones to get started with your broth, you can go to the health-food store and purchase the necks, feet, backs, and wings of a chicken (these are inexpensive parts of the chicken that have a tremendous amount of nutritional value). Other options are lamb neck, marrow bones, or beef bones. Add these to your bag until you’re ready to make the broth. Vegetarian option: If you’re a vegetarian, eliminate the meat and bones and use only vegetable scraps. If you’re just starting and don’t have any vegetable scraps yet, here’s a fast way to get nutrient-rich veggie broth: start by making a seaweed broth; once cooked, set aside the seaweed to eat in other meals, like soups, grains, or salads (just chop it up). If you do this, you just need 1–3 (6″) strips of kombu, wakame, nori, or kelp to 4 cups of water. Put all of the contents of the bag in your freezer into a stainless-steel stockpot. Alternatively, you can use your Crock-Pot to make this even easier! Pour water so that it just covers the top of your bones, meat, and vegetables. Add 1/4 cup apple cider vinegar, to bring out the minerals from the bones. Add sea salt and pepper to taste. Start with a small amount in the beginning (about 1 tsp. each) and add more if needed when the broth is finished and you can taste it. Turn your heat onto high, put a lid on the pot, and bring the water to a boil. As soon as it’s boiling, turn the heat down to very low and allow the pot to simmer all night long. The longer it cooks, the more nutrients you’ll bring out of the bones and vegetable scraps. The next morning, strain the liquid out of the rest of the ingredients. You don’t keep any of the meat scraps, vegetable scraps, or bones—your goal is to strain them out and keep the liquid, which is now full of incredible nutrition. Put the broth into the refrigerator. When it chills, remove the fat layer that will accumulate on the top. Now you have something to nourish your body. Drink one or two cups a day: Louise has a cup in the morning and a cup before bed. You can also use the broth to make delicious, flavorful soups and stews, or flavor and cook vegetables and grains. To do this, you will use the broth just as you’d use water when cooking. To store for longer than 5 days: For any broth you’re not using within a 5-day period, store the liquid in quart-sized containers and put in your freezer to thaw when you’re ready to use them. You can also store the broth in smaller containers or even pour it into ice-cube trays to customize the amount you want to use in meals or recipes. Soffritto (onions, garlic, celery, carrot and parsley plus I add bell pepper with some chilies as well) is what I make up and then place in ice cube trays, freeze, then place in a freezer bag to pull out whenever I want to add some additional flavor to the broth. I also love to cook a large batch of Caramelized onions, make patties out them. Freeze them on some wax paper or parchment paper then store them in the freezer to pull out when desired. I love making these patties up for my son to keep in his freezer for when he makes a meal he can quickly add these to his favorite Asparagus’s dish! Neuroscientists are starting to investigate how to manage gut bacteria to treat mood and stress-related disorders such as depression. Biologists says that the degenerative and inflammatory diseases on the rise in industrialized societies could be corrected by the use of gelatin-rich foods due to the presence of restorative amino acids such as glycine, alanine, proline, and hydroxyproline. In addition to these benefits of bone broth, the gelatin it contains has an additional 9 bonus side-effects. For decades, food manufacturers have been trying to sell you on Gatorade, energy drinks, over-the-counter drugs, antibiotics, weight-loss potions, and energy pills. 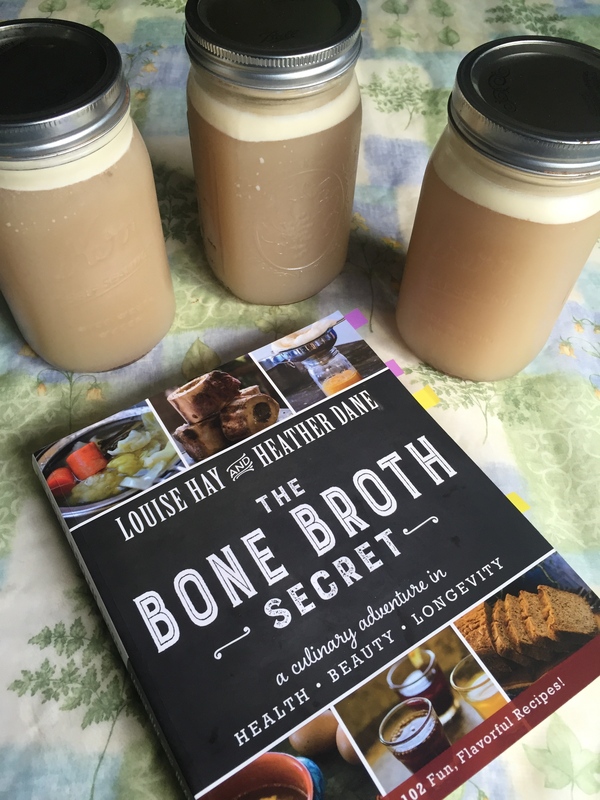 Well, there is something you can take for better health and better athletic performance, but it’s not one of these—it’s bone broth! 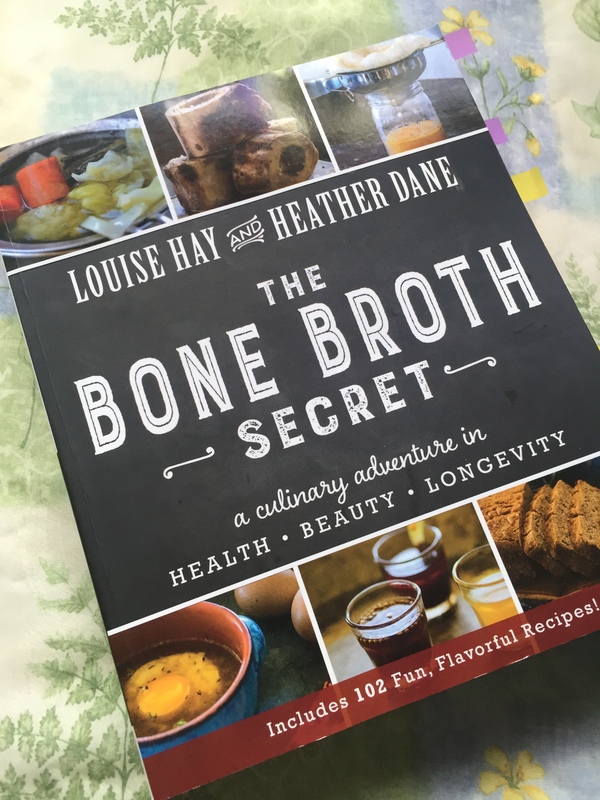 A true “what’s old is new again” story that our great grandmothers would probably laugh about, modern culture is finally catching up to what traditional cultures have known for years… that broth is an inexpensive and versatile source of nutrients. Years ago, many families kept a pot of broth simmering on the hearth. This provided an easy base for soups and other recipes and also a way to keep the broth fresh before the invention of refrigerators. It’s one of the many traditional foods that we’ve largely forgotten in modern culture, but I’m glad to see it making a come back. 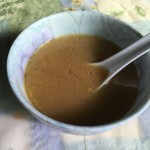 Broth is easily and simply made by boiling bones (beef, chicken, fish, etc) in water with an acid (like vinegar) and optional spices, vegetables and herbs. Broth can boil for as little as 4 hours or up to 48 (or more as traditional cultures did). The recipe I use is simple. I gather as Louise Hay suggests above and keep the veggie scrapes in a bag in the freeze and add to it as I go along. 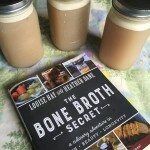 I purchase my bones from a ranch about once every couple of months and keep them in the freezer until I am going to make some broth. I then add vegetables without onion and garlic so I can share the broth with my dog since these 2 ingredients are toxic for them. I add carrots, celery along with the veggies I have collected in my bag in the freezer with the bones (I reuse my bones twice) add 1/4 cup of AVC (apple cider vinegar) fill with water to cover, then bring to boil and reduce the heat, simmer for 12-48 hours. Once the broth is cool I discard the veggies, strain the broth and pour into quart jars to store in frig. Once it has cooled, the fat will rise to top and seal the broth. This will ensure it will last a few weeks in the frig. But be careful of food poisoning. The fat layer needs to be at least half an inch thick to keep it stable and safe to use. Broth contains the collagen, which supports hair, skin and nail health. It also contains glucosamine, chondroitin sulphates and other compounds that support joint health. The gelatin in bone broth also helps strengthen hair and nails and speed their growth. Proline: A precursor for hydroxyproline, which the body uses to make collagen, proline helps the body break down proteins and helps improve skin elasticity and smoothness (and avoiding wrinkles). It is often recommended for its benefits to the heart, including keeping arteries from stiffening. Arginine: Helpful for proper kidney function, wound healing and proper kidney function. There is some evidence that arginine is helpful in keeping the arteries supple and improving heart health, though more study is needed. Glutamine, L-glutamine is important to gut health. Bone broth is an excellent source of glutamine and is recommended for skin issues with great success. It is important to note that these amino acids are not technically considered “essential” since the body does make them itself. Since they are only made in small amounts in the body, much of the research I’ve read suggests that it is beneficial to consume them from dietary sources as well. Chicken soup is a timeless remedy for illness, but modern research is starting to understand its role in immune health. 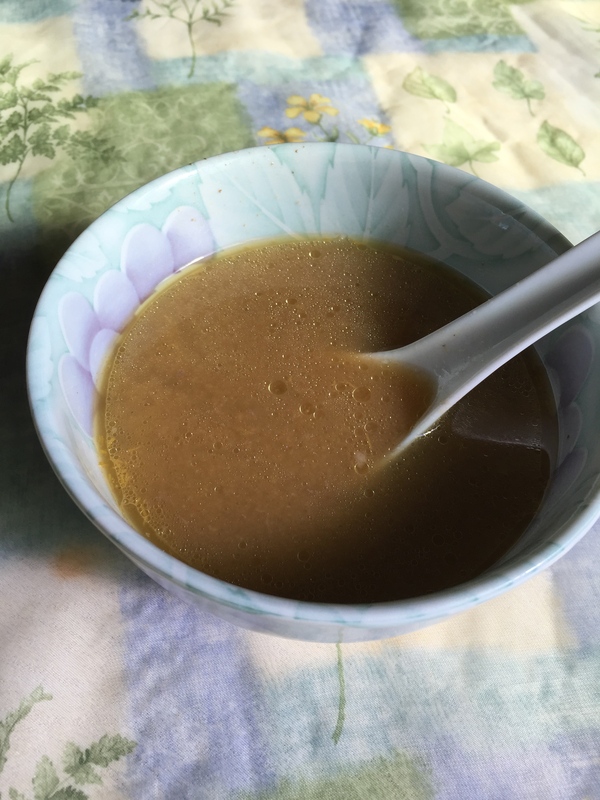 As we now understand that much of the immune system is in the gut, broth is especially helpful because its high gelatin/collagen content supports gut health and its amino acids help reduce inflammation. Dr. Campbell McBride, author of Gut and Psychology Syndrome says that gelatin helps “heal and seal” the gut, and in doing so is helpful for reversing leaky gut syndrome and digestive problems. So drink up for good health!